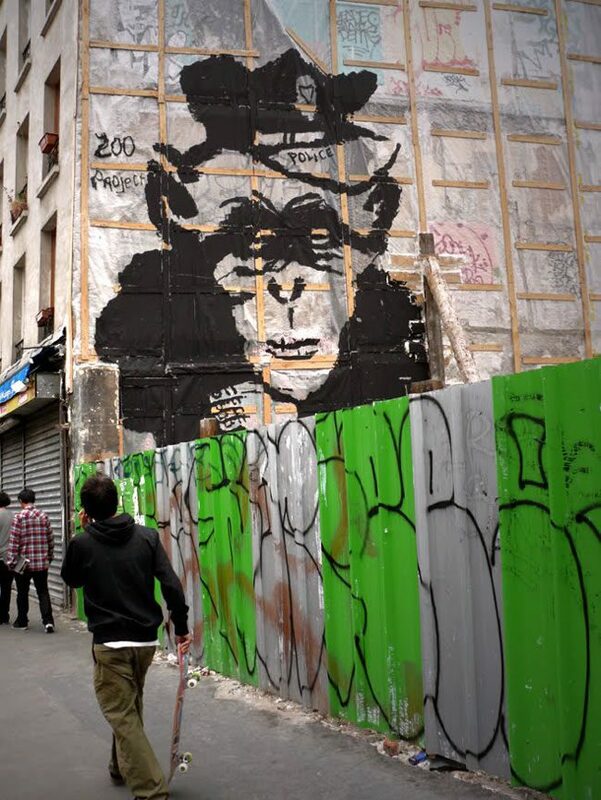 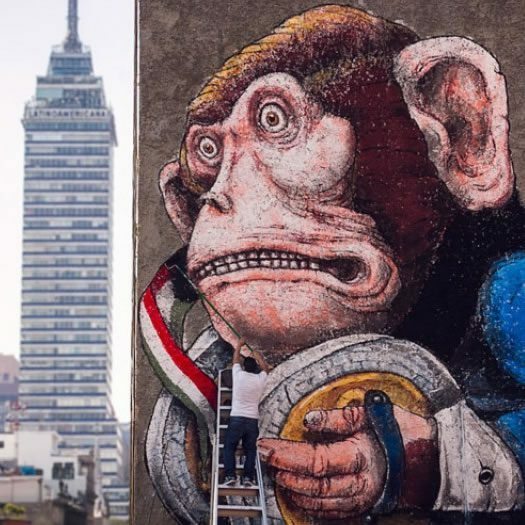 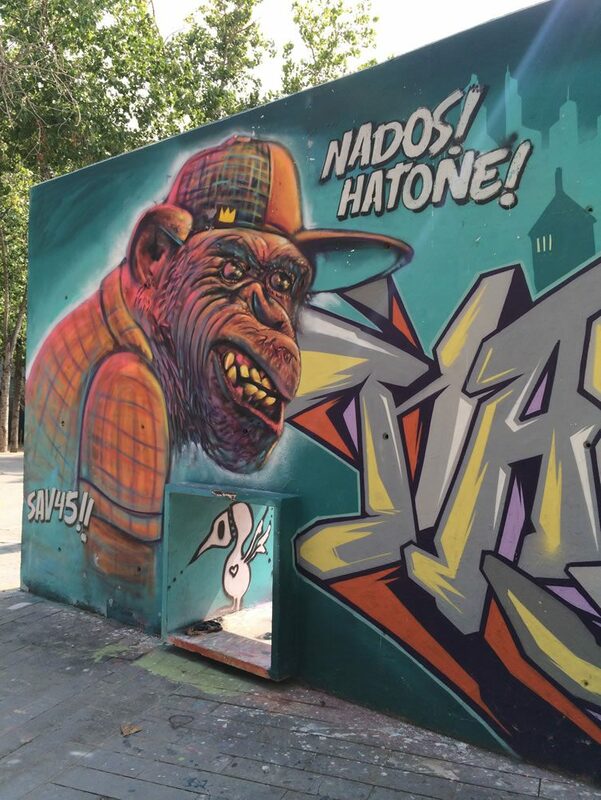 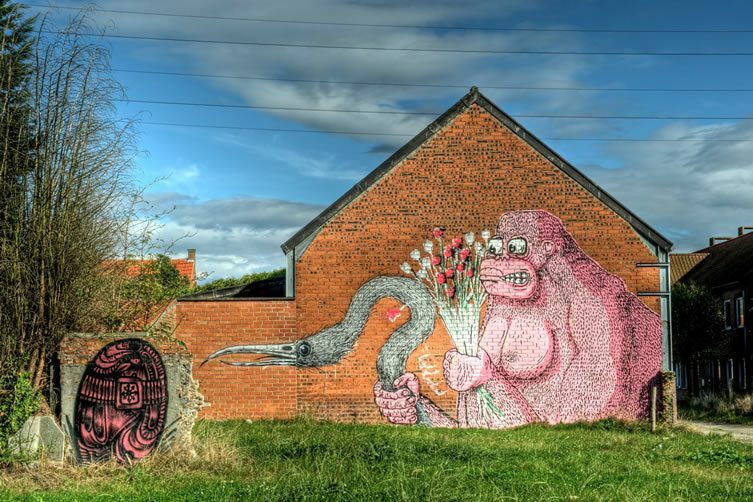 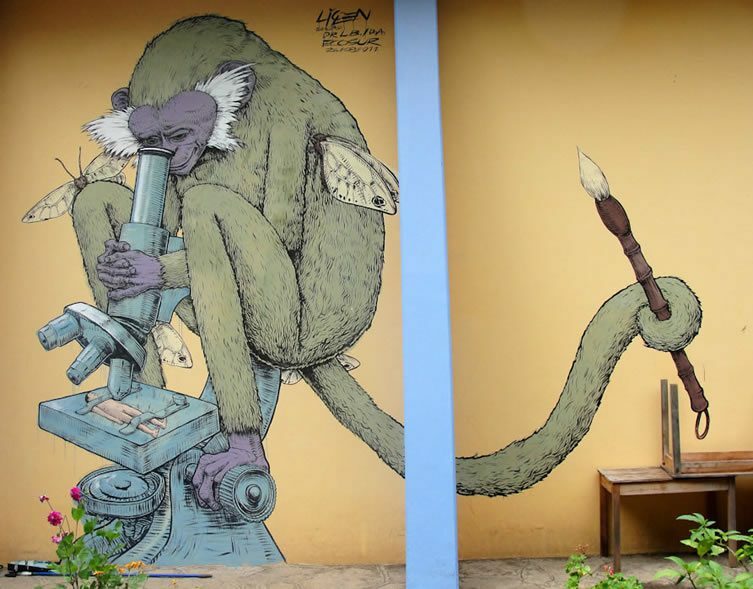 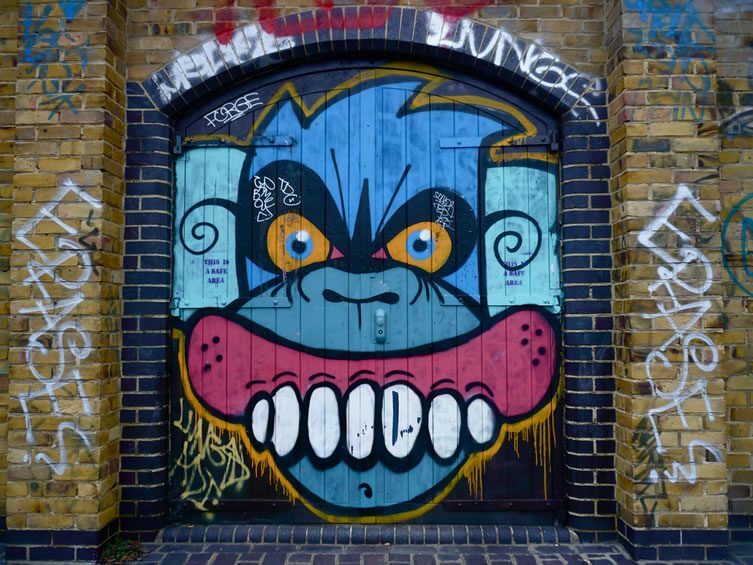 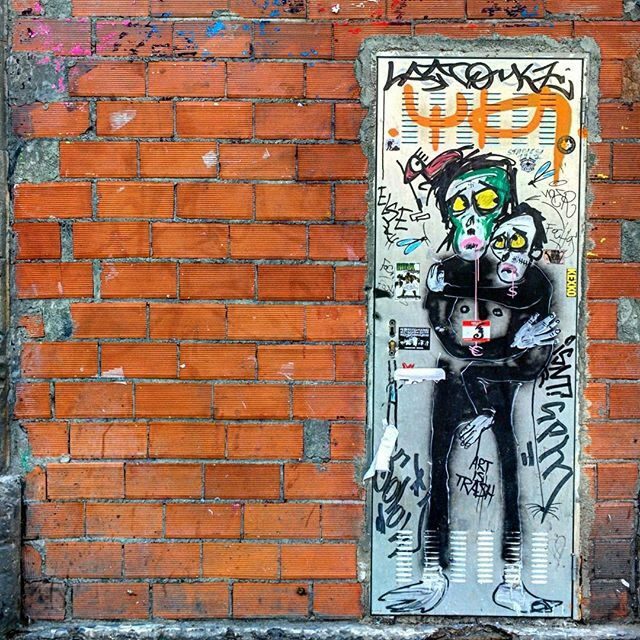 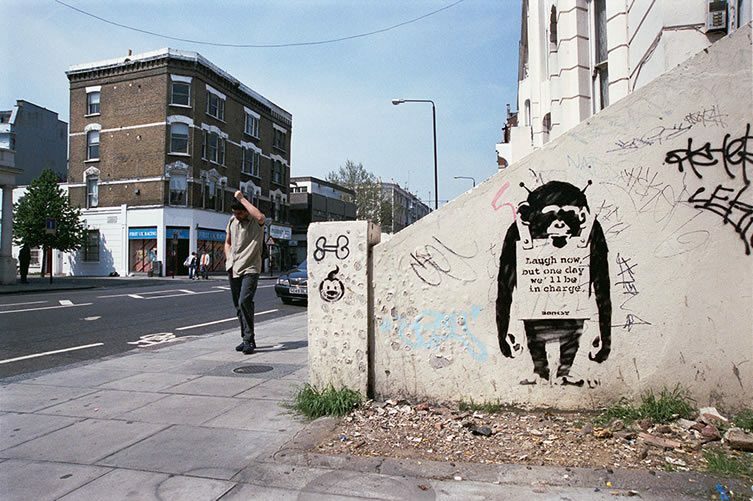 Their genetic closeness to us, their capacity for cute and killer, their intrinsic link to proverbs, significance in protest, embodiment of oppression … street artists love monkeys, and all they represent. 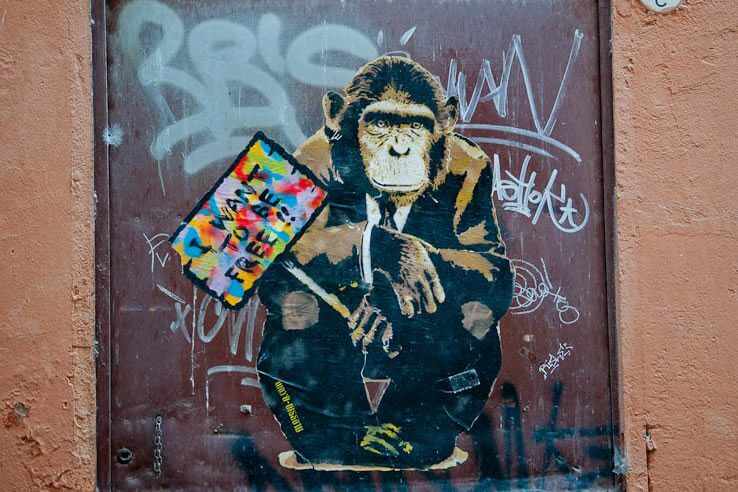 Laugh now, but one day we’ll be in charge reads the sandwich board draped over the dejected shoulders of a chimp in one of Banksy‘s most iconic works, whilst countless pieces riff on the famed Japanese maxim of the three wise monkeys — plenty more street artists call on the monkey’s exaggerated features and instantly recognisable silhouette. 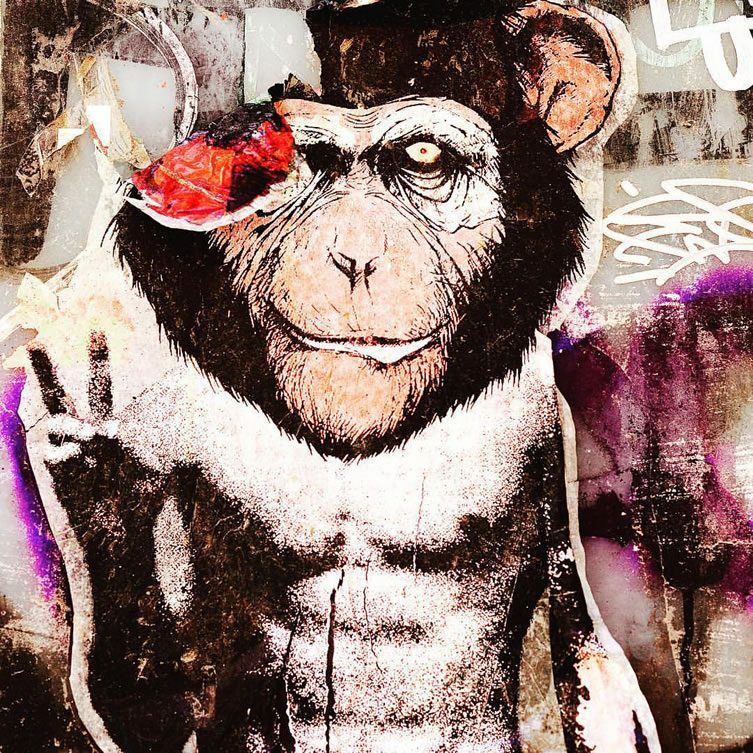 The ninth of 12 animals in the recurring 12-year Chinese zodiac cycle, 2016 is the year of the monkey. 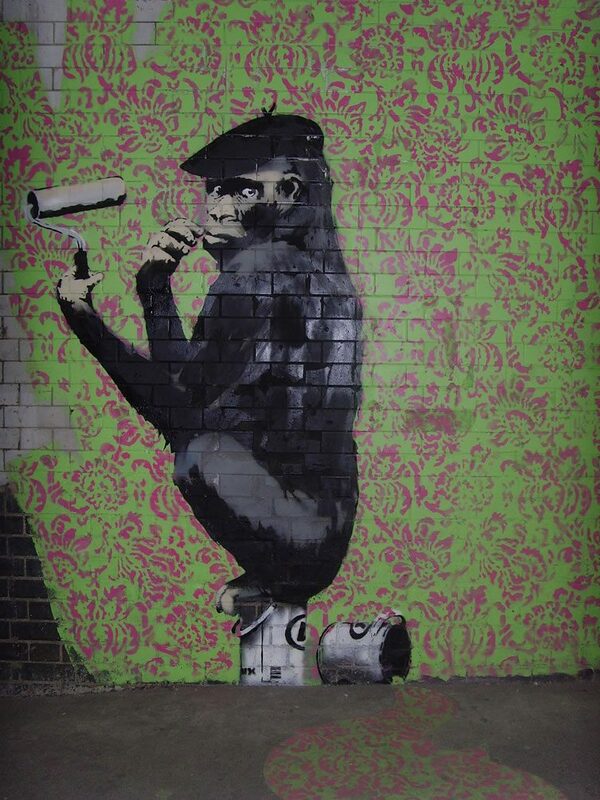 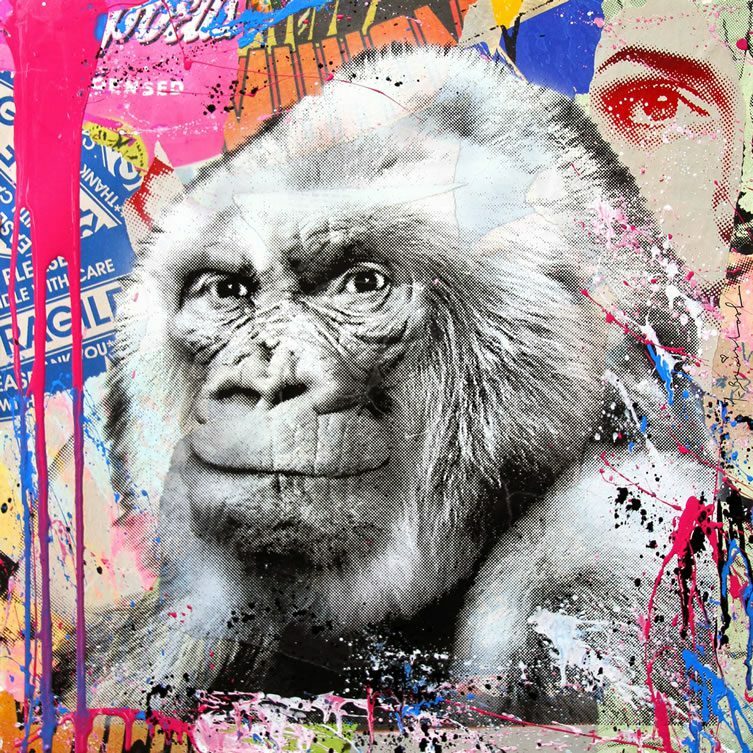 We thought it’d be nice to herd us all up a carload of painted primates from some of street art’s finest. 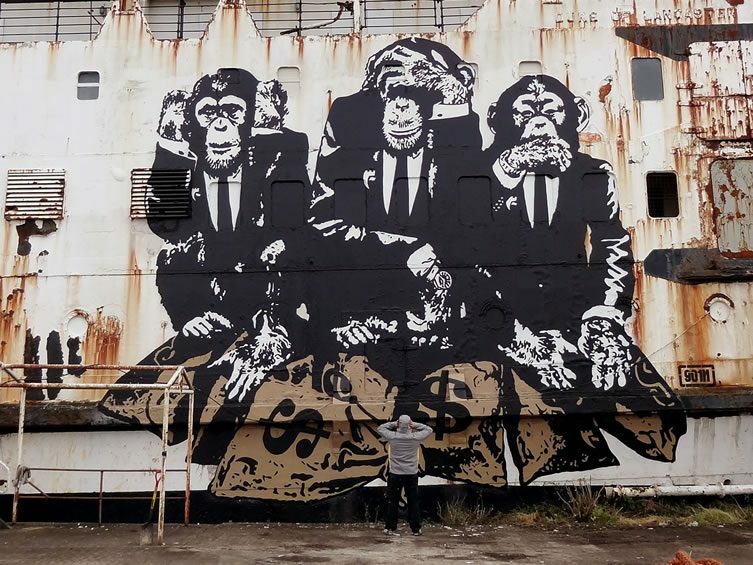 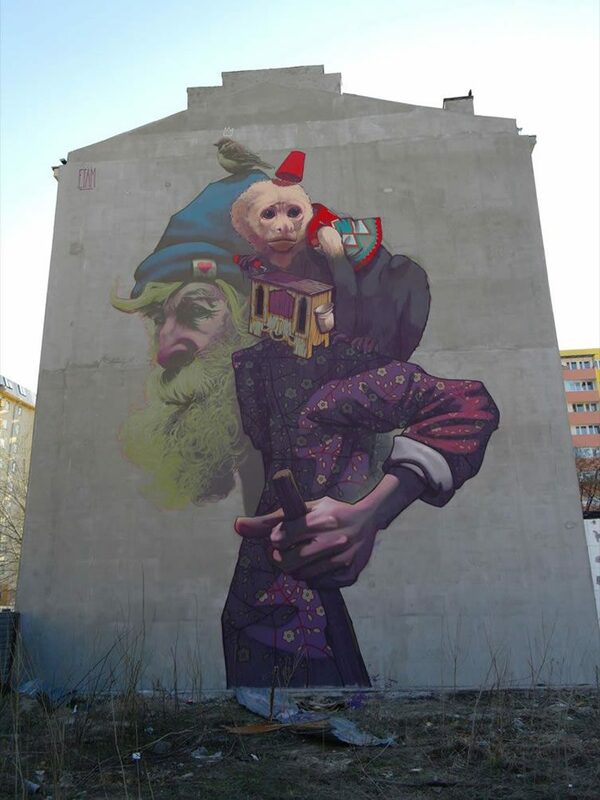 There’s collaborative works featuring the likes of Belgian artist ROA and Sweet Toof, incredible realism from Etam Cru, and beguiling intricacy from Liqen and Aryz. 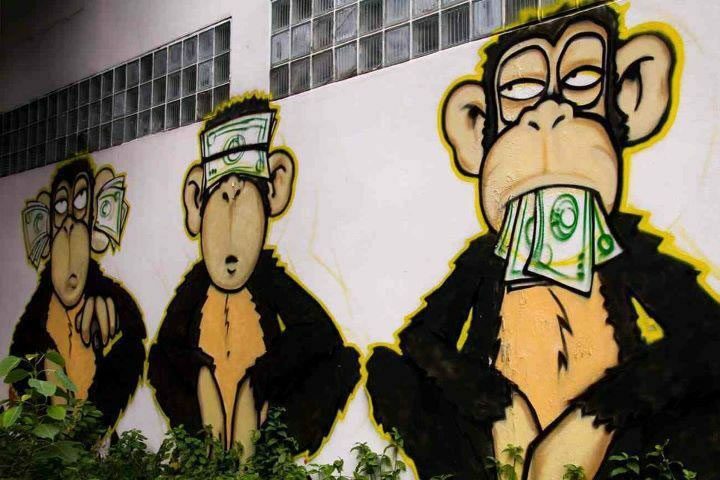 Monkey see, monkey do.